I am happy to report that going out and doing stuff has come between me and my posting and blogging duties during the summer. A heavy shower of rain this afternoon has obliged me to be indoors and I have taken the opportunity to update my Facebook pages and sort out to some degree the many pictures residing in folders, dropbox and on the camera card. However, I’ll be brief! Too many photos and plenty of “in between” walks and rambles with the dog. My first summer off work for many, many years and it was great to go on holiday and come back to having the days off! Early on the summer John, David and I had a good walk up Ben Ledi. The day after John and I went to the British Open Golf practice day. Our next big trip was to North Wales visiting old haunts and a treat for John and Jane to enjoy the delights of the Snowdon tourist path. 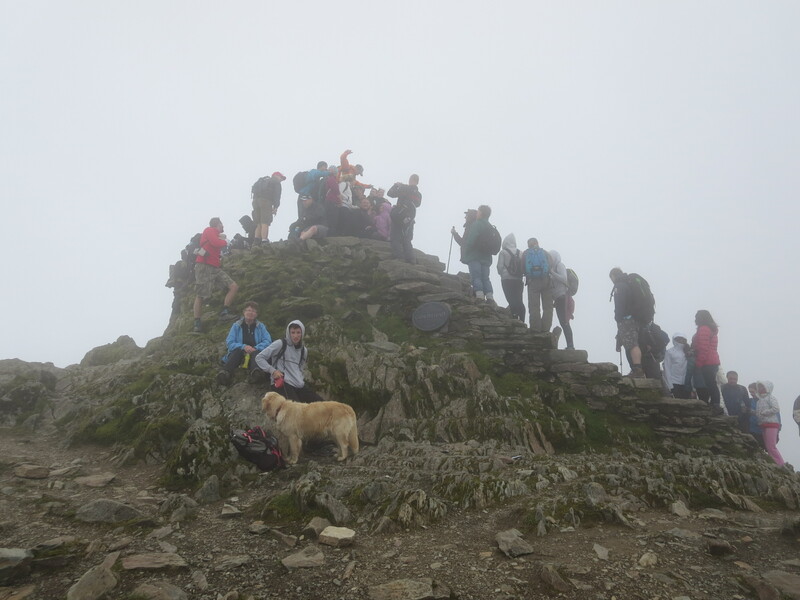 Misty on the summit but that was good to hide the masses queuing and arguing to the top. 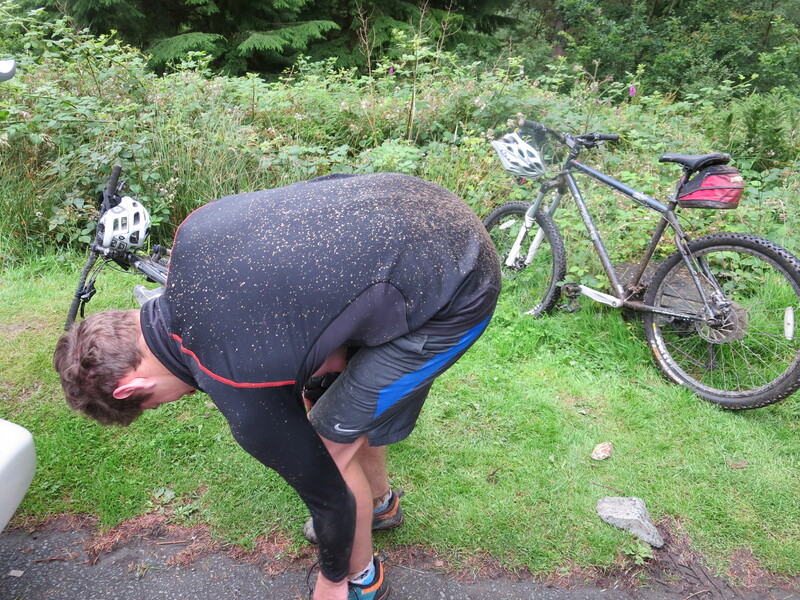 Coed Y Brenin next and a blast around the Dragons Back mountain bike trail in wet conditions. Ducking and diving the inclement sqaualls meant a drive through Blaenau Festiniog. The Welsh have probably their own word for it but Dreich says it for me. 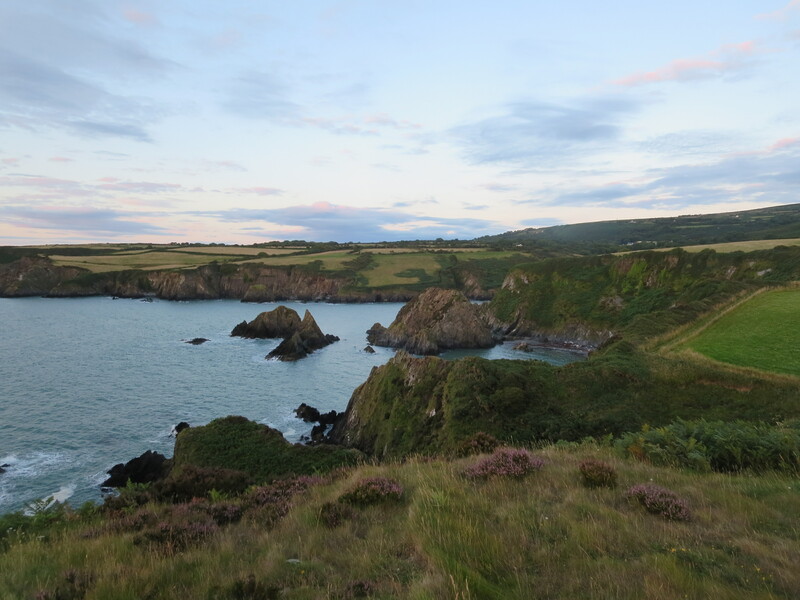 In Pembroke the conditions improved and coastal walking was delightful. 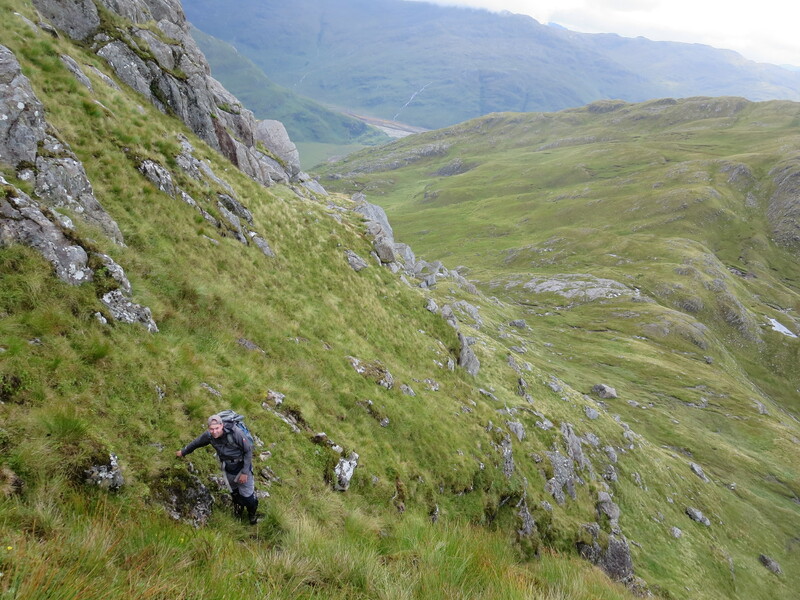 It might be next to the sea but that doesn’t rule out steep little hills! A break back home then out to Italy including the cultural mecca of Pompeii and the much more enjoyable Herculaneum. 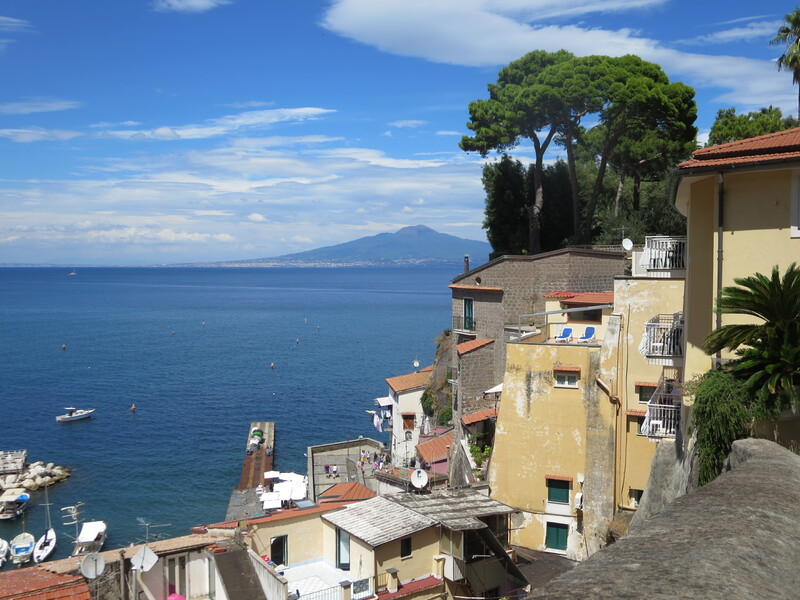 Overshadowed everywhere by the local Big Yin, Vesuvius dominates all of the sea views from Sorrento to Naples. It’s a volcano of course and dusty and dry with little vegetaion high up. 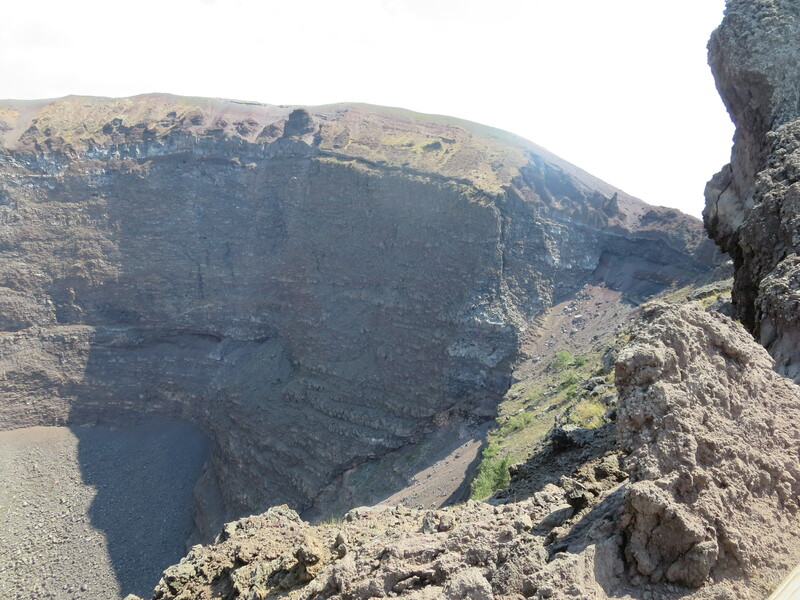 Nonetheless, the crater is spectacular from the rim. (Not allowed to go down there and frowned upon to wander to the actual summit!). Visiting Bristol next we took off for more coastal exploration. 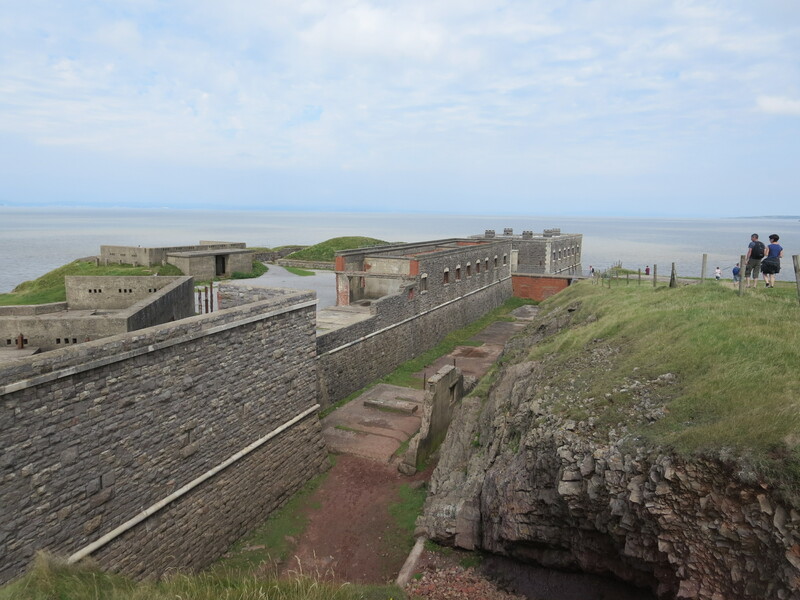 A very scary drive past Pontins Burnham on Sea takes you to a National Trust car park and access to The Brean where a distinctive ridge sticks out to sea taking you to an old coastal fort and views of Weston Super Mare and opposite to the Welsh coast. Banksy knew what he was doing when he created Dismaland! 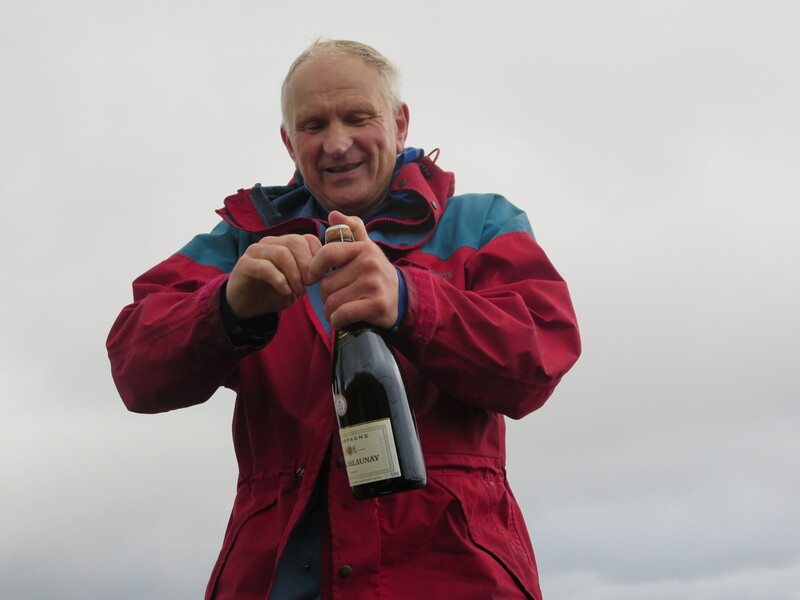 Finall, and most recently, came a journey to Knoydart for the compleation of George Devereux Round of Munros and Tops. A great effort over the years. Wet underfoot but just enough visibility to keep spirits up George, his son Mike and myself took the long route over Meall Bhuide along rough ridges and cols to meet with David Ward and Arthur and Sue Glencross on the top of Luinne Bheinn. A very long walk out but back to the bunkhouse in time for a shower and a visit to the most remote pub in mainland Britain. Home again now and getting the autumn programe under way.